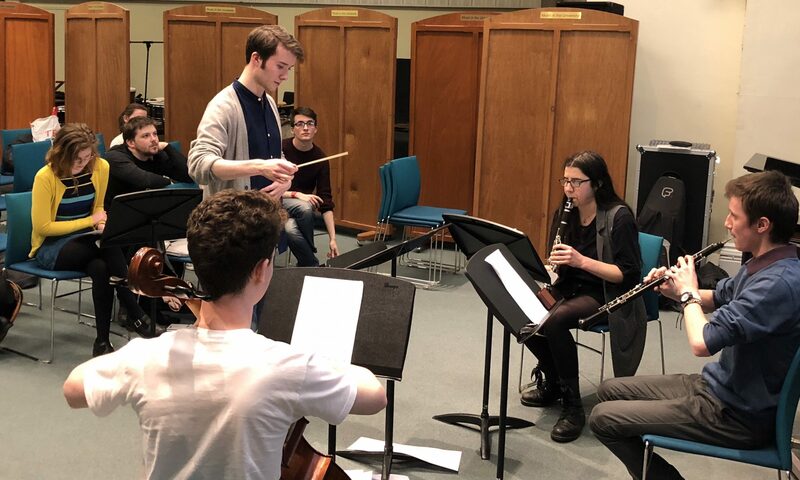 A free composition mentoring programme for secondary students offered by the University of Glasgow. Jane Stanley is an Australian composer and Senior Lecturer in Music and Head of Subject at the University of Glasgow. She specialises in composition for acoustic media. Her music has been performed and broadcast throughout the world, having featured at festivals and conferences including Tanglewood, ISCM World Music Days, Gaudeamus Music Week, Asian Composers League, Wellesley Composers Conference, and June in Buffalo. She received her PhD from the University of Sydney and in 2004-5 she was a Visiting Fellow at Harvard University. Her teachers include Anne Boyd, Peter Sculthorpe, Ross Edwards, and Bernard Rands. She has been a composition fellow at Tanglewood Music Center and Aspen Music Festival and School. Her music has been recorded for release by artists in Australia and the UK and she has received commissions from Tanglewood, Musica Viva, Bernadette Harvey, Continuum Sax, and Halcyon. She is a founding member of the Young Academy of Scotland and is a represented composer at the Australian Music Centre. Kevin is a current PhD student in composition at the University of Glasgow. He is a graduate teaching assistant for the course Composition in the Classroom and works on the Scottish Young Composers Project. His works have been performed by Psappha Ensemble, the Hermes Experiment, Ensemble Okeanos, Neave Trio, TaiHei Ensemble, Society for New Korean Music, Ensemble Móbile, and Glasgow New Music Expedition. Kevin has presented work at conferences including the British Forum for Ethnomusicology and Royal Musical Association joint Research Students’ Conference, Longy Divergent Studio, Oregon Bach Festival Composers Symposium, Sound Thought, and the University of Glasgow College of Arts Postgraduate Conference. Since 2015, Kevin has been involved with running Sound Thought, an annual postgraduate-run conference and festival of music and sound research, composition, and performance .